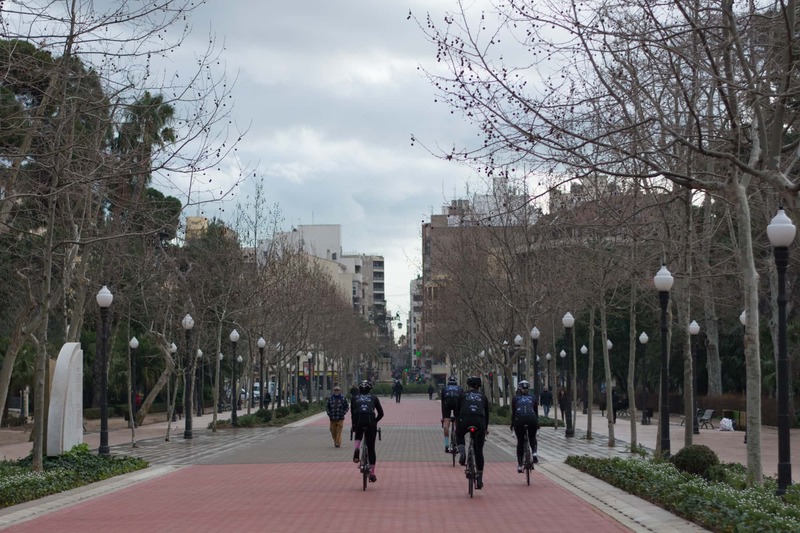 Castellón de la Plana is the capital of the province of Castellón; located between the in-land mountain ranges and the Mediterranean sea, it is currently home to over 170,000 inhabitants. The city was founded in 1253, when the population moved from Cerro de la Magdalena to La Plana, which caused the town's yearly festivities to take the same name: "Fiestas de la Magdalena" (Festival of the Magdalena). After being named capital of the region, its evolution has been constant: going from an agricultural city to a service industry. 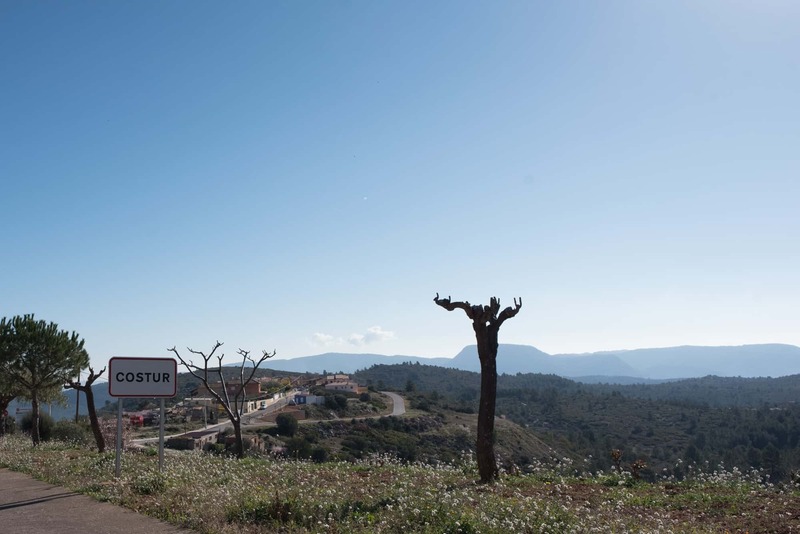 To find out about Castellón's origins, we have to go back to the Neolithic period, a time period from which archaeological remains have been found in the Desert de les Palmes natural park. 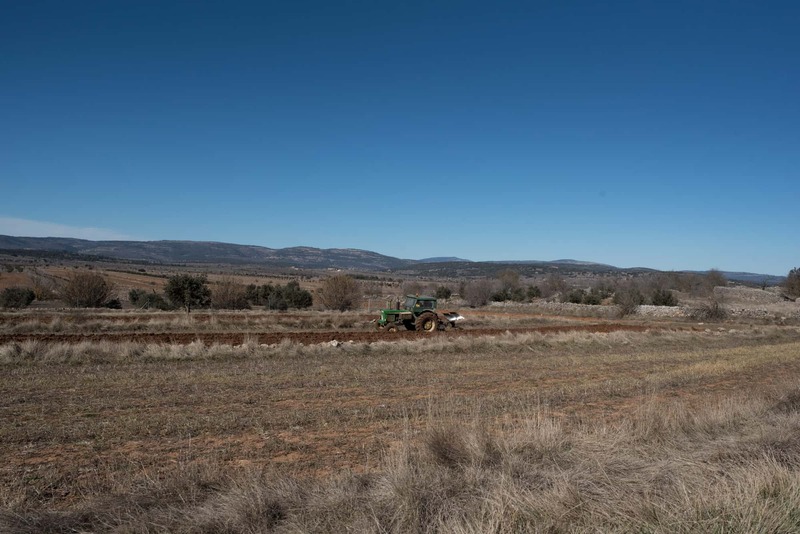 Findings from the Iberian Age have also been discovered, although very few Roman remains have been found, despite the fact that this was a Roman settlement. 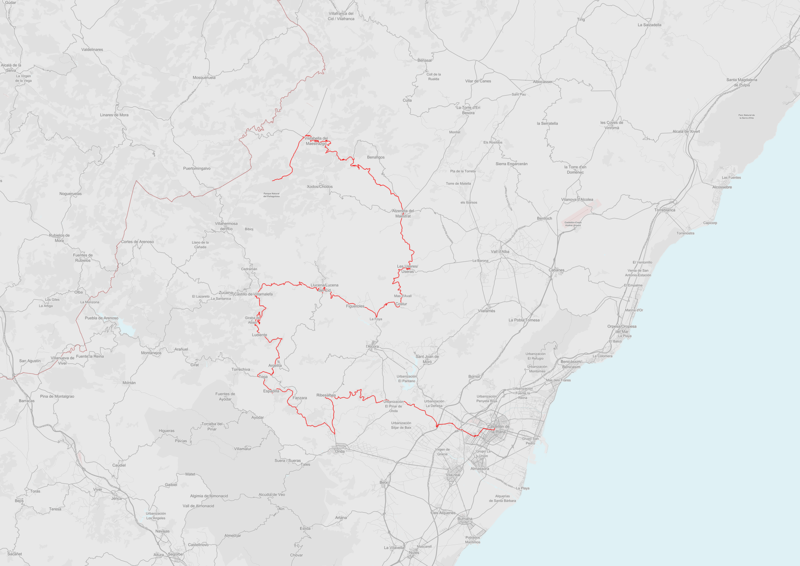 After having been inhabited by the Muslims, who spread out across the region, we move forward to the Peninsular War, in which Castellón was besieged by French troops. A few years later, before the first Carlist War, Castellón was named as the capital of the province. Due to the invasion of the Carlist troops, a wall was built to protect the town. This remained standing until 1882, which was why it could officially be considered a city. From this moment and throughout the 19th century, Castellón started to experience economic growth due to the growing and exporting of citric fruits and ceramics. The city grew that much that the church was torn down to be able to build there. 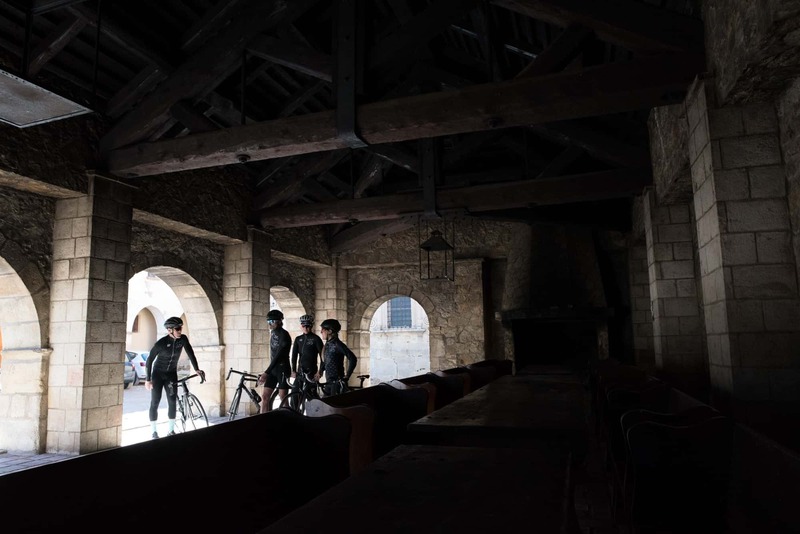 It was not until the 40s that the Santa María church was built again. 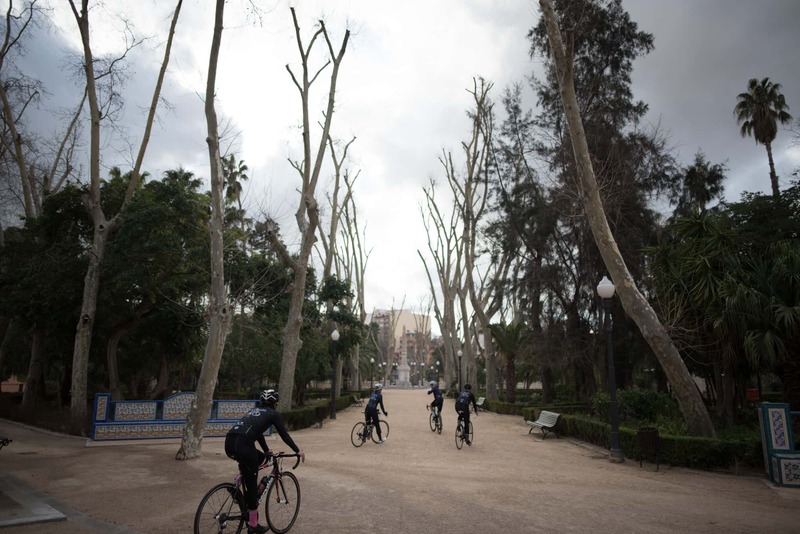 Along with the current cathedral, there are numerous monuments, both religious and civil, which can be visited in Castellón, and it also has admirable natural spaces. Its beaches, the Columbretes Islands just a few kilometres from the coast, its natural landscapes such as the Desert de les Palmes natural park and the Magdalena chapel... all of which make for a natural heritage that should not be missed. 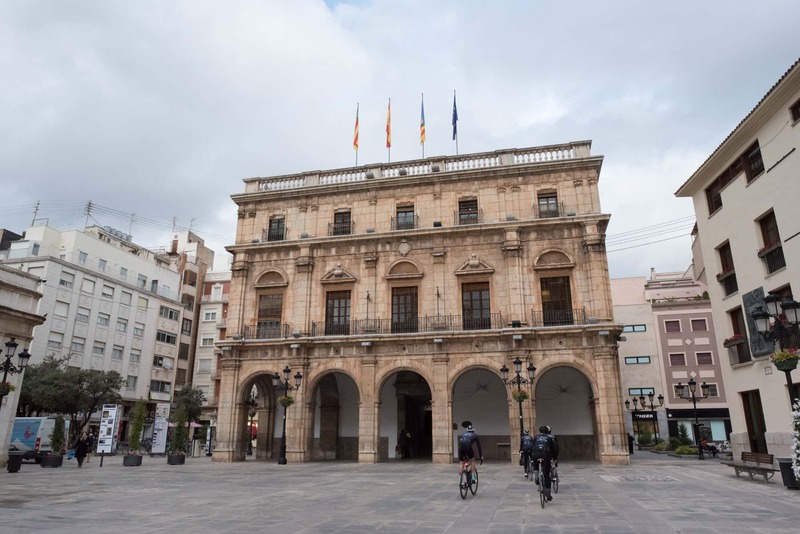 In the centre of Castellón you can also visit the Episcopal Palace, which was built in a neoclassic style in the 18th century; this same year the basilica of Nuestra Señora de Lledó, known for its baroque style, also started to be built. In front of the cathedral stands "El Fadrí", a bell tower which was started to be built in the 15th century in a Gothic Valencian style. 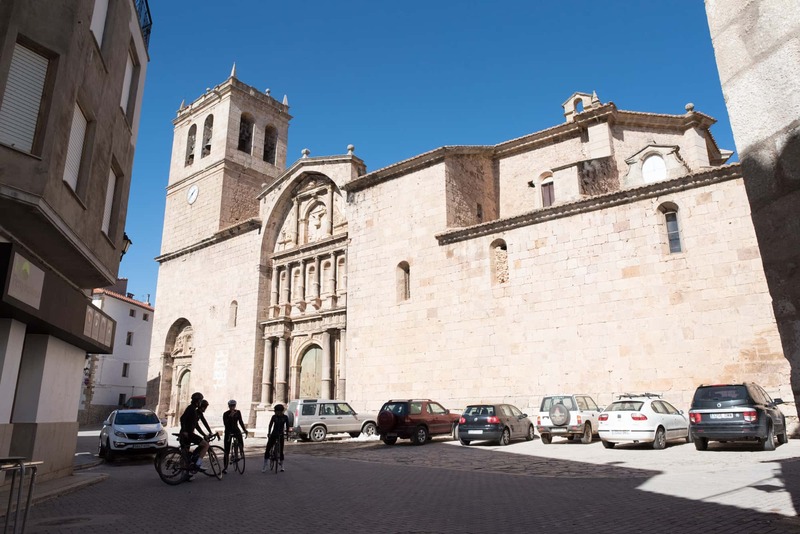 In the centre of the city you can also find the "Lonja del Cáñamo", an 18th century baroque building which is currently used as a cultural centre. But it is not just the heritage that will make you fall in love with Castellón: when you try its rice based gastronomy you will be blown away. We suggest the following places to tickle your taste buds: Restaurante Luisy (calle Pintor Picasso, 10), here you can try the area's most typical home-made, traditional dishes. This is a very popular lunch-time restaurant. If you want to try one of the most typical rice dishes in Castellón, book a table at Restaurante Mediterráneo (paseo Buenavista, 46); there speciality is "arroz a banda". To try the freshest seafood, be recommend Tasca el Puerto (Avenida del Puerto, 13), a benchmark for marine cuisine. There are also limitless accommodation options in Castellón, therefore we will give you our recommendations. Next to the train station you will find the fairly budget-friendly Hotel Luz Castellón (calle Pintor Oliet, 3). For a slightly more affordable option next to the port, you could stay at NH Castellón Turcosa (Treballadors de la mar, 1). For roughly the same price, the Hotel del Golf Playa (Avenida Golf, 2) has sea views and is perfect for a family trip. 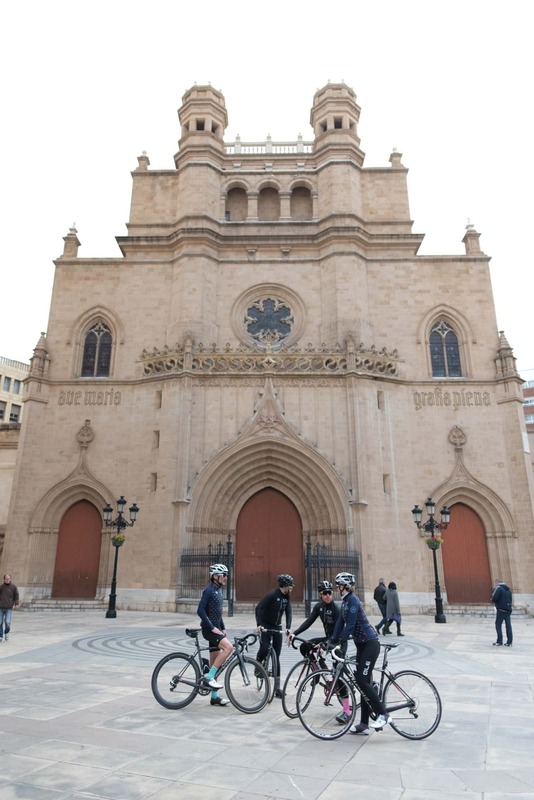 - Catedral de Santa María: this cathedral was built in the 13th century, knocked down in 1936 and was not build again until 1940 in a neo-Gothic way. - Episcopal Palace: by order of the bishop, this started to be built in the 18th century in a neoclassic style. - Basilica of Nuestra Señora Lledó: this dates back to the 18th century and was built in a baroque way on top of old temples. - El Fadrí: the bell tower opposite the Santa María cathedral, unlike the cathedral, this has a Valencian, Gothic style. - Lonja del Cáñamo: an 18th century baroque building which is currently used as a cultural centre. The route that we propose is for experts as it is highly challenging. This is a difficult, steep route which has a total accumulated incline of 3,600m. 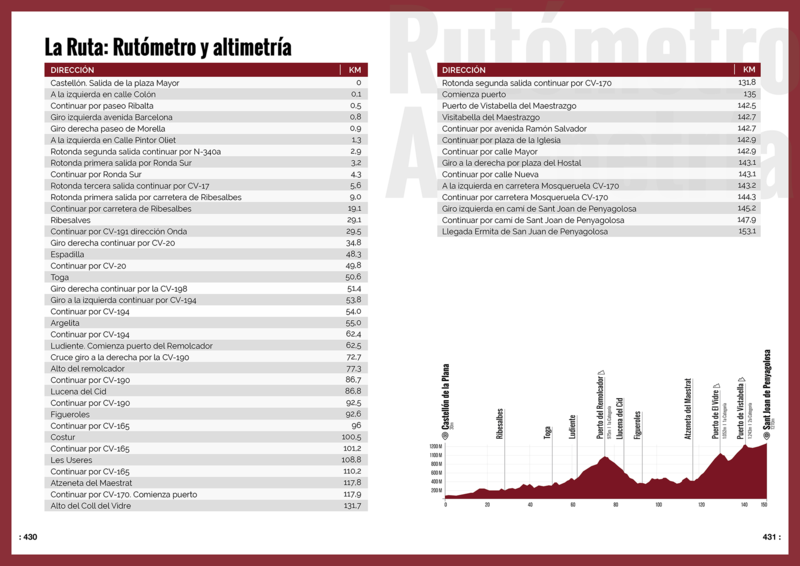 The level of difficult is justified in the configuration of the route as it is very similar to the Gran Premio Peñagolosa route of the Volta Castelló. 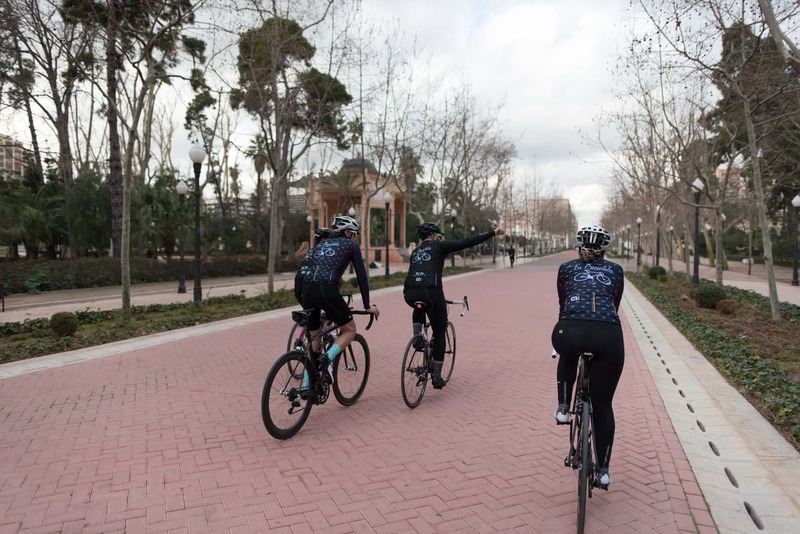 If you are prepared, 152 km are waiting for you, taking you through the Peñagolosa Natural Park and the north east of the Espadán Natural Park. 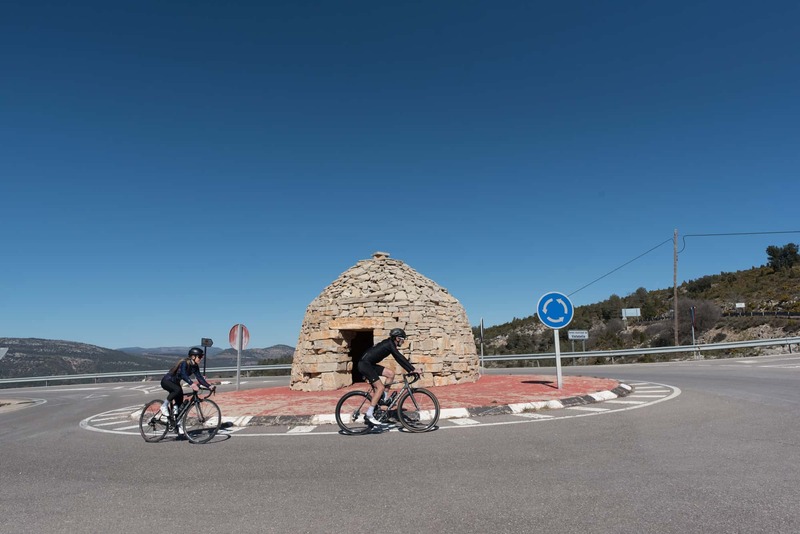 Once you leave Castellón, the Ribesalbes road will take you to the Embalse de Sichar reservoir, the north of which you will cycle around a bumpy but not overly steep road. You will reach Ribesalbes, a parish in Onda with just over 1,000 inhabitants, here the road starts getting steeper. 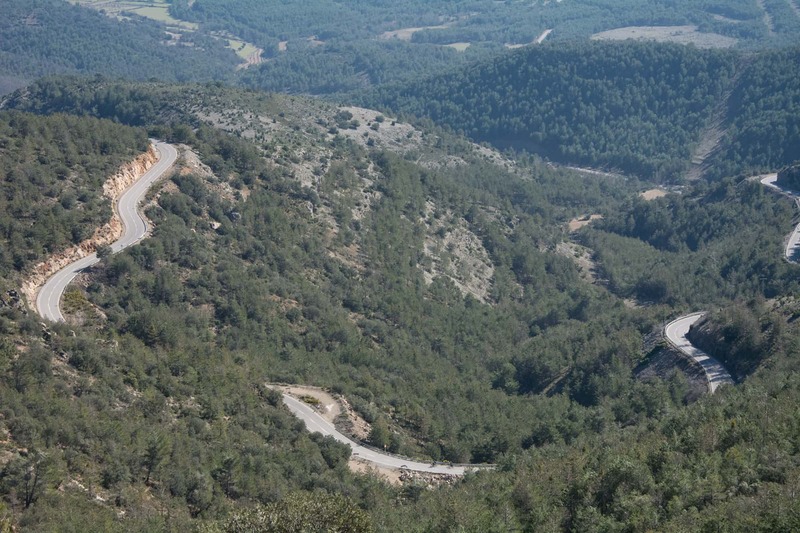 Following the CV20 you will travel parallel to the River Mijares and to towns such as Fanzara and Vallat on roads covered in deep forest. 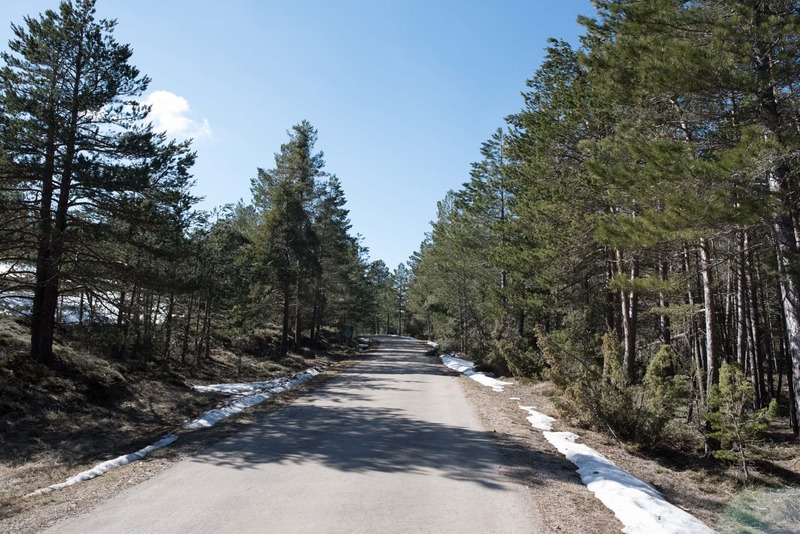 In Toga you will reach a flat section where you will be able to recover and leave the road you were on in favour of the CV198 which will lead you towards Ludiente. The mountain pass starts getting more difficult here and once you get to Ludiente, you will start one of the most difficult inclines. 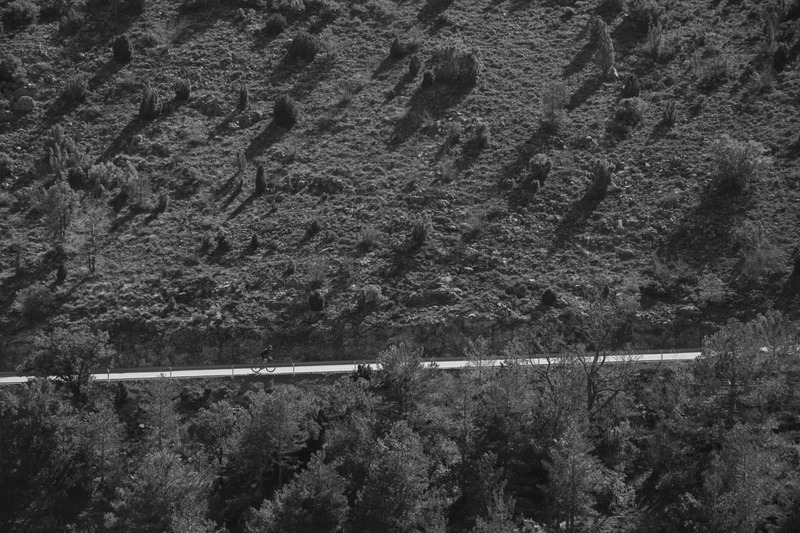 It is classed as a 1st category incline and will take you to 980 m above sea level. 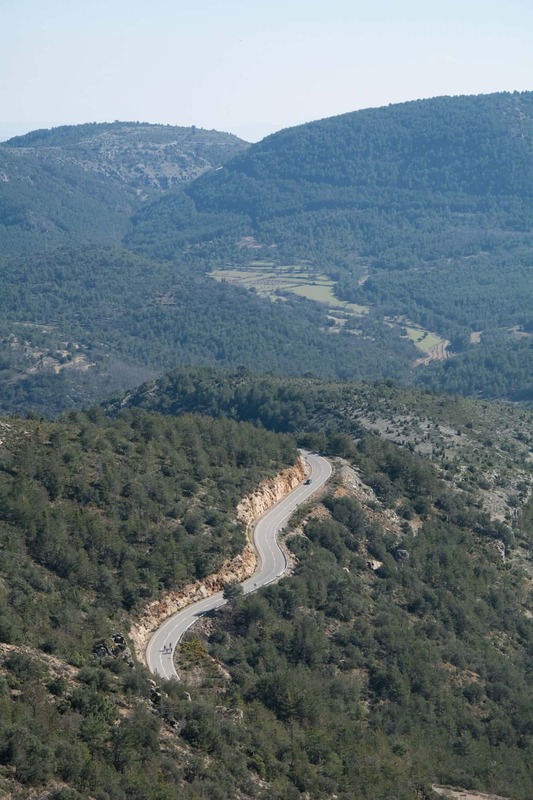 Parallel to the River Villahermosa, you will jut out into the Puerto del Remolcador mountain pass. 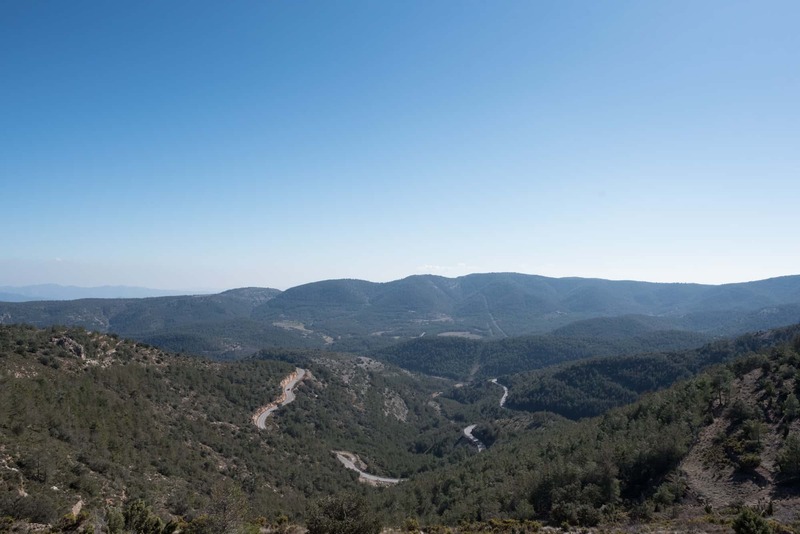 When almost at the top of this, you will pass by the Villamalefa Castle and a pleasant road among the Holm-oak forests will make getting to the end of the mountain pass just a little bit easier. 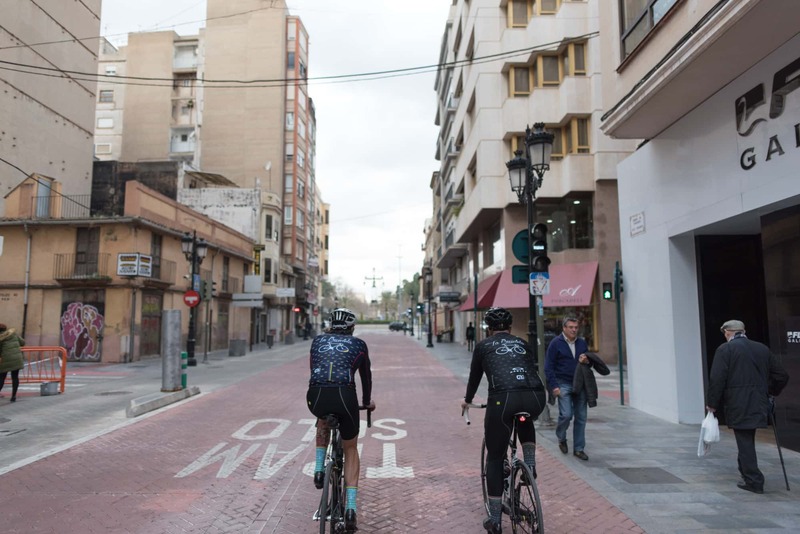 Once you reach the top, a 15 km decline awaits you, taking you to Lucena del Cid, where you will head parallel to the river until you reach a flat section in the area of Figueroles. From there a difficult, irregular section with steep slopes begins. 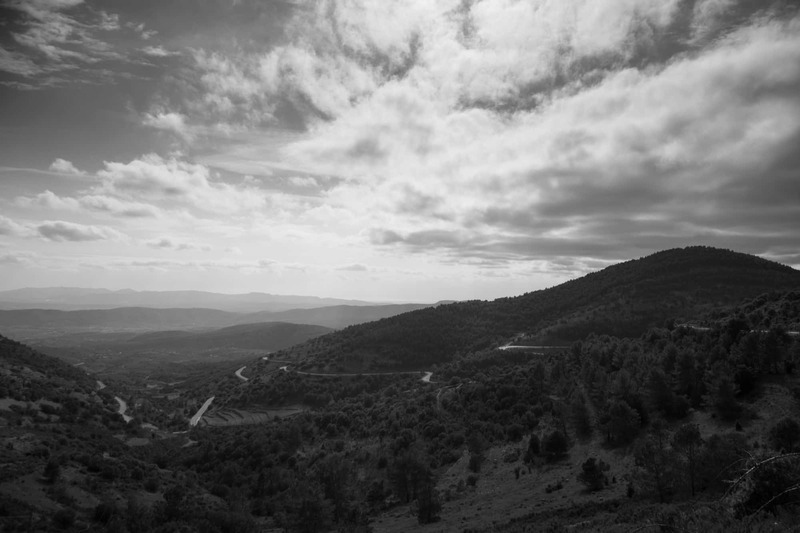 Just before facing the two last and difficult mountain passes, you will cross through the inside of Atzeneta and from there you will start the ascent of the El Vidre mountain pass along an irregular, mountainous road with steep slopes. 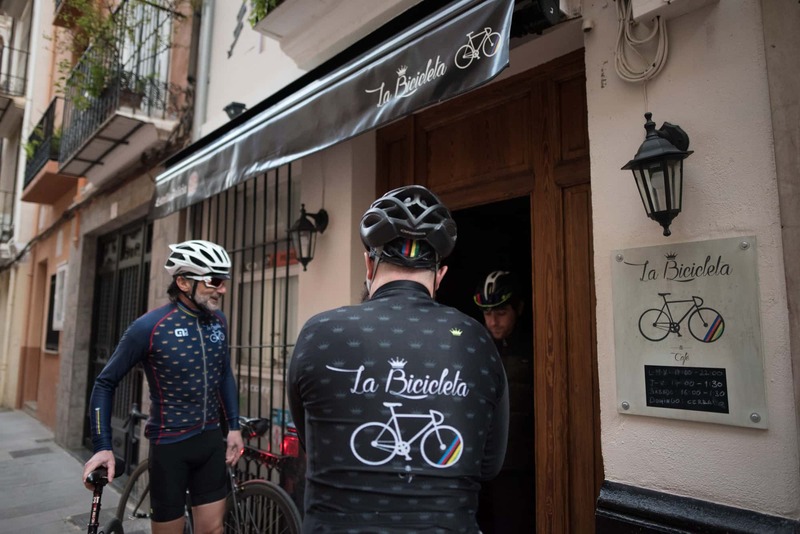 After a pleasant section, you will have to face the final mountain pass, Vistabella, here you will reach a maximum height of 1249 m above sea level. The end of the route is in the heart of the Peñagolosa Natural Park, just like the Volta Castelló, which takes place here. - Castellón de la Plana (Km 0): the route's starting point. The capital of the province of Castellón, with more than 170,000 inhabitants and a great civil, religious and natural heritage. 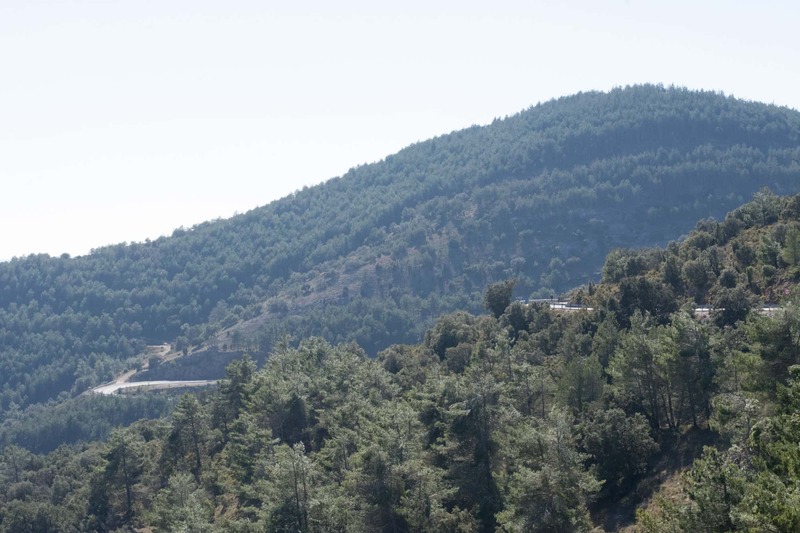 - Embalse de Sichar reservoir (Km 19.9 – 30.1): located in the municipality of Onda along the River Mijares. 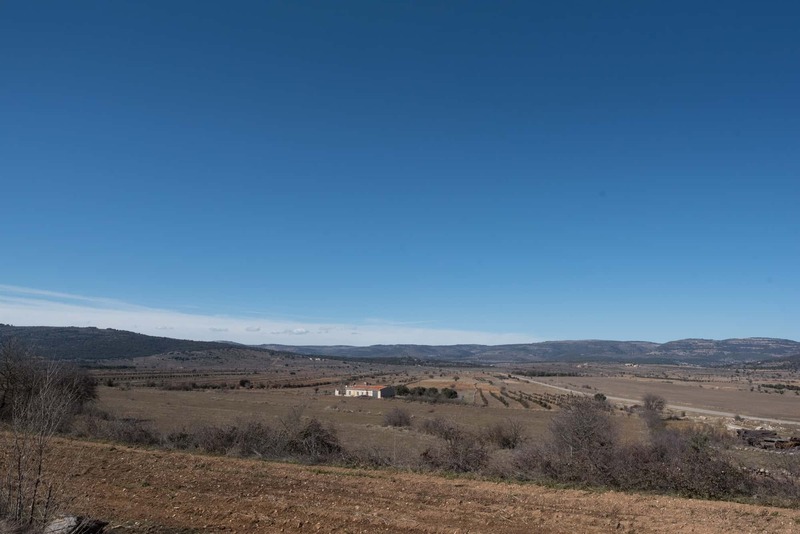 - Ribesalbes (Km 28): a small parish in Onda with just over 1,000 inhabitants, located next to the Embalse de Sichar reservoir. 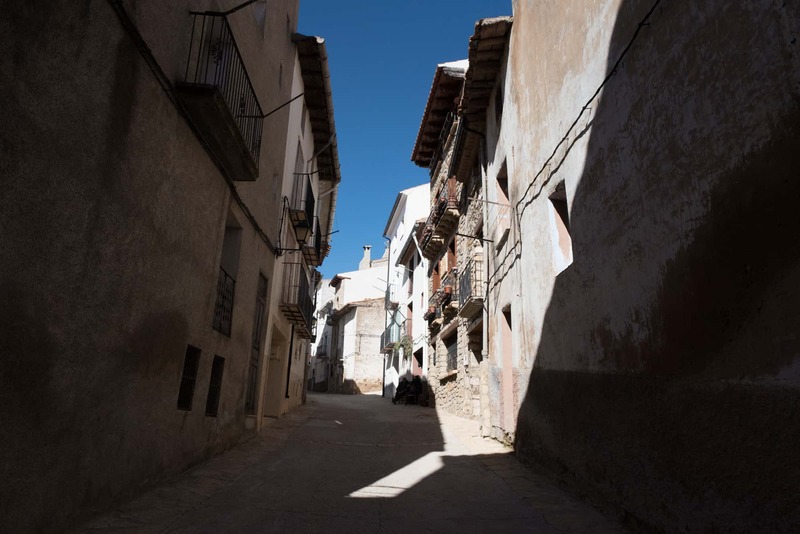 - Toga (Km 49.6): a town with less than 100 inhabitants located between two great mountains: the Espadán mountain range and the Peñagolosa mountain. - Ludiente (Km 61.4): a small municipality in a valley surrounded by great mountains which give this a unique landscape. It has two castles and a tower which date back to medieval times. 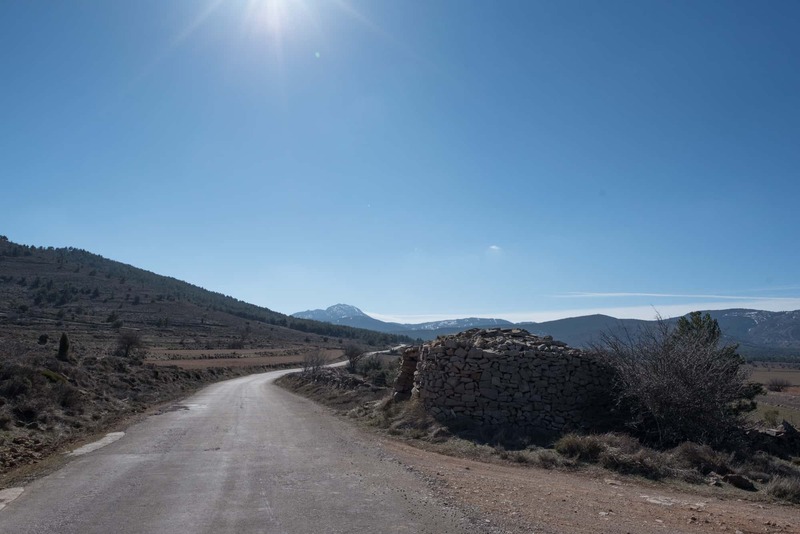 - Lucena del Cid (Km 84.6): more commonly known as "the Pearl of the Mountain", is located in the Pedreñera gorge which make its uneveness rather outstanding. 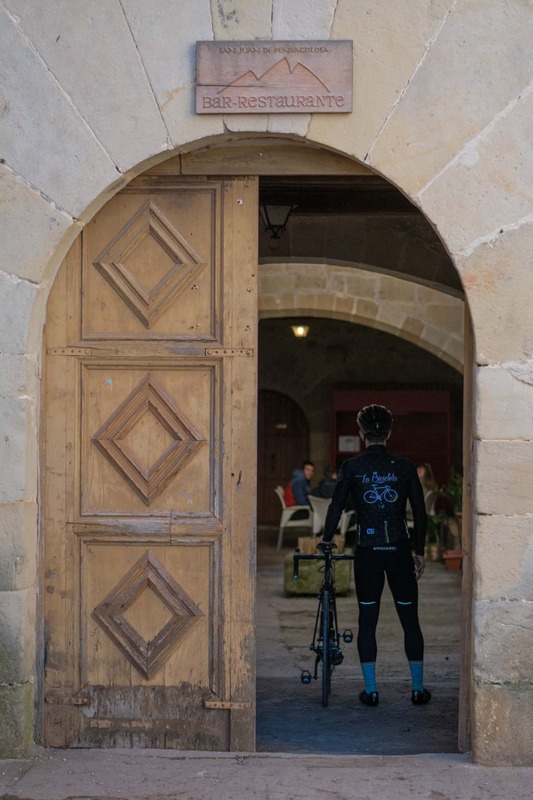 It has a chapel-come-castle called San Miguel de les Torrecelles which is currently used by the Useras pilgrims. - San Mateo church, Figueroles (Km 91.6): listed as a Point of Local Relevance, this Renaissance style church was built in the 17th century. On the inside, it houses alterpieces which date back to the same century. 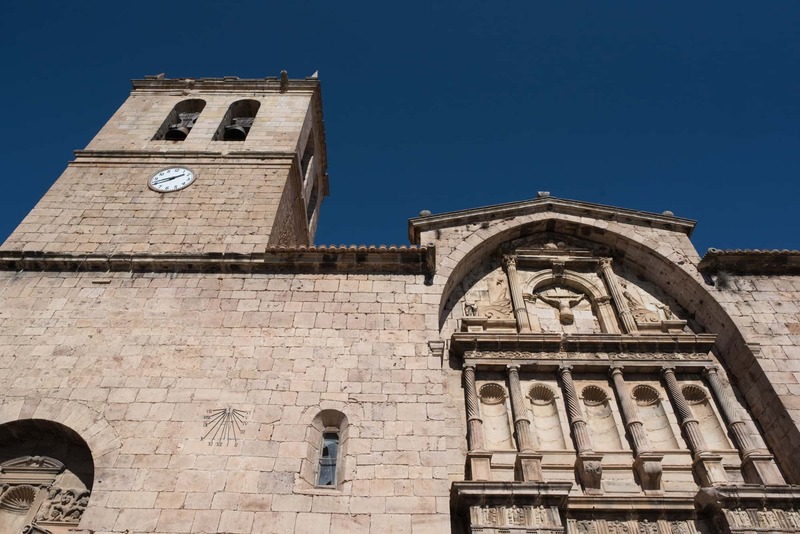 - San Bartolomé parish church- Atzeneta (Km 117.1): this forms part of the medieval walls which protected the territory. 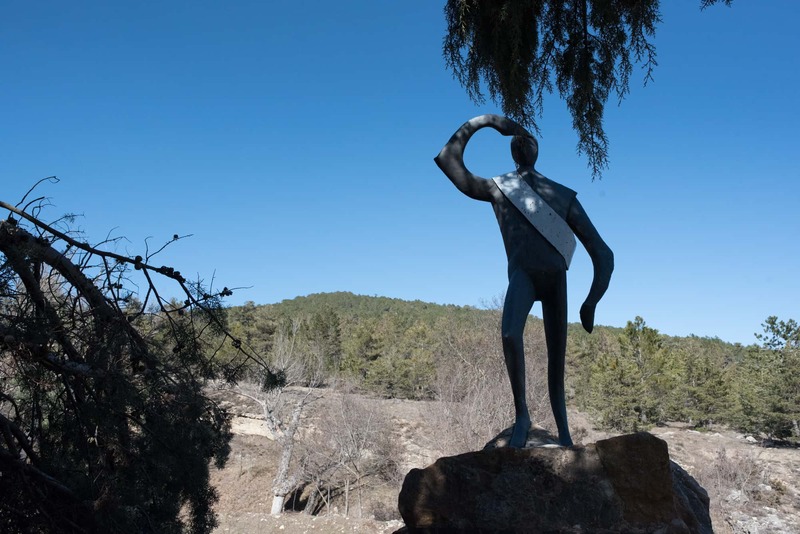 After being used as a prison until the 60s, it is currently the home of the 'Centro de Interpretación de la Historia de Atzeneta del Maestrat', a museum explaining the town's history. - Restaurante Luisy (calle Pintor Picasso, 10): a typical place to have lunch, with an exquisite home-made menu. - Restaurante Mediterráneo (paseo Buenavista, 46): specialising in the rice dish "arroz a banda". - Tasca el Puerto (Avenida del Puerto, 13): considered to be one of the best seafood restaurants. - Hotel Luz Castellón (calle Pintor Oliet, 3): a hotel next to the train station with modern facilities and décor. - NH Castellón Turcosa (Treballadors de la mar, 1): an affordable three star hotel with views of the port of Castellón. - Hotel del Golf Playa (Avenida golf, 2): located on the beach front. This is ideal when travelling with family.